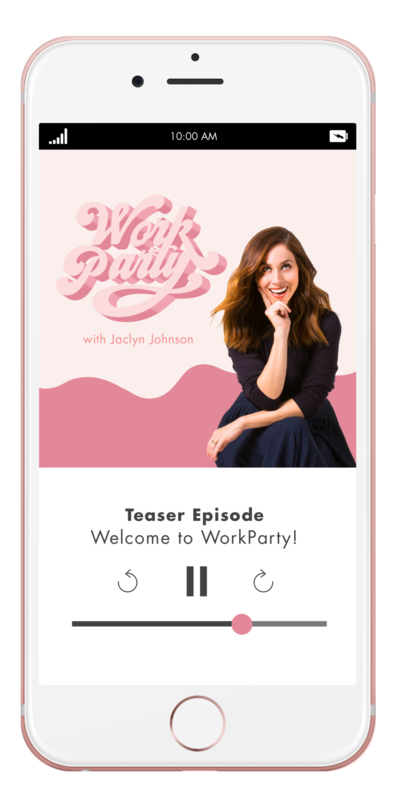 This week’s episode of WorkParty is all about going from blog to brand. If you’re not familiar with Reesa Lake, you should be. The influencer marketing maven is the Partner and Executive Vice President of Digital Brand Architects, the leading influencer talent agency who reps so many of your faves. Reesa knows the ins and outs of the blogging game and knows monetizing content like the back of her hand. Are you an influencer who’s looking to land a big time deal? Are you a startup brand who’s looking to work with a style blogger? Well then you’ll want to listen up. “Everyone wants to equate an algorithm and a metric to social media and to content and to influencers and it just doesn’t work that way.” It’s often said that if you have a certain amount of followers, you can charge a certain set price, but that often isn’t the case. A lot of the time it depends on how much work an influencer will have to do in order to create the content. Some even go as far as renting studio space to capture the perfect photo. Every content creator wants to monetize their content and the easiest way to do so is through affiliates. There are several different affiliate marketing platforms out there but most influencers use rewardStyle, Shop Style, and Amazon. The way these work are through unique links to either a blog or Instagram bios and swipe-ups. Once consumers make a purchase via those links, the influencer earns a commission from their unique link that was posted on their blog or social channel. Along with making money, influencers also want to seek management. A manager can help navigate deals, land campaigns, make you more money, and all of that good stuff. However, they need to know what’s in it for them too. This all goes back to knowing your value as an influencer. Getting out there and making traditional relationships can really go a long way and eventually put you in the right position to get management.